Does offer two different scaling methods. Cutscenes are 24 FPS. Vsync sometimes halves the frame rate. 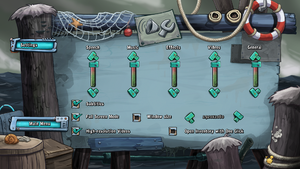 Setting the game to windowed mode fixes problems with in-game video content (Cinematics/Cutscenes). 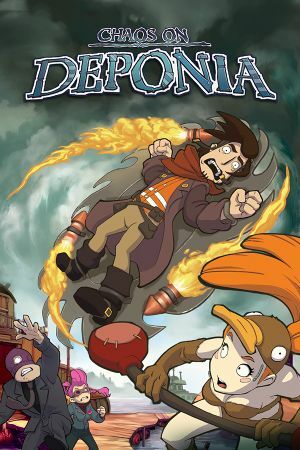 In Steam, right-click on "Chaos on Deponia", select "Properties...", open the "Updates" tab and deactivate "Enable Steam Cloud synchronisation for Chaos on Deponia".